From hosting parties, big events and other special functions, public speaking and other community work, Brian Dawson has done it all in the entertainment world. A native of Fredericksburg, VA, Brian possesses an Associate’s Degree in Arts and Radio from Gulf Coast Community College in Florida and a Bachelor’s Degree in Communications and a Masters in Sports Management both obtained at the University of Akron in Ohio. To add to Brian’s versatility, his natural ability to interact with a variety of people has enabled him to be an active and well-respected individual within the community. Fifteen years of entertainment experience has made Brian one of the most sought-after talents on the East Coast. Brian is the afternoon drive host (3pm-7pm) at Radio One of Raleigh for WQOK FM K97.5. His show “The Traffic Jamz” can be heard throughout the central parts of North Carolina to Southern Virginia and has been consistently ranked number one in the 12+, 18-34, and 25-54 demos. As an afternoon personality, Brian has interviewed various celebrities and public figures including Jay Z, Diddy, John Legend, Ludacris, Tyrese, Neyo, Alicia Keys, Rick James, 50 Cent, TI, Former President Barack Obama, Hilary Clinton, former Senator John Edwards, Pastor Shirley Caesar, and NBA legend Magic Johnson. 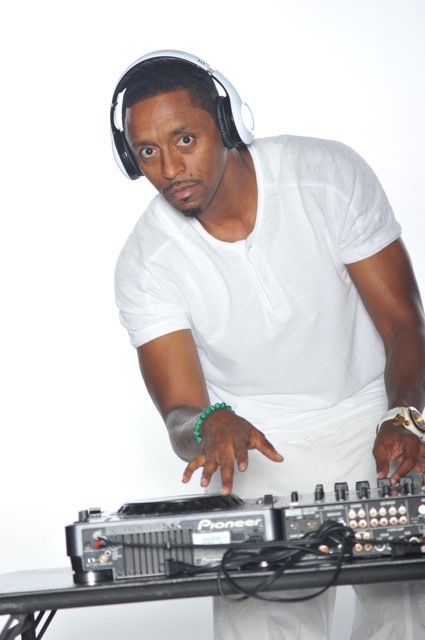 Brian has appeared on and hosted television shows including BET’s ‘Rap City,’ ‘Keepin’ It Reel’ TV, a music and video show for five years, FOX 50’s ‘Gimmie the Mike’ for two years, MTV’s ‘The Dance” and he is currently working on his new project TV show “The B spot” on FOX 50. As an entrepreneur, Brian Dawson is the founder and CEO of Chase Media. His company provides advertising, artist and/or personality bookings and development, event planning and coordination, marketing, product placement, and promotions. While Brian is known universally by his radio exposure, he is also very well known for his involvement in high caliber social events including “OSAW” Old School Alumni Weekend, Josh Powell’s NBA Celebrity Weekend, Willie Parker’s NFL Celebrity Weekend, Women’s Empowerment, Dante Culpepper’s NFL Celebrity Weekend, The Bimbe’ Cultural Arts Festival, North Carolina Central University’s Homecoming, North Carolina Agricultural and Technical University’s Homecoming, and The Black Business Expo. A decade of experience and a vast education, coupled with a vibrant personality and positive attitude makes Brian a well trained and seasoned individual who will continue to impact the entertainment industry on a variety of different levels. Russell Wilson Becomes The NFL’s Highest Paid Player!! !